Simply take a picture of a sign or logo of the brand you are looking for. Getfugu searches for the brand associated withthe picture and then gets information and exclusive content. Find specials, locations or buy online! Speak a brand name, company name, product or other keyword into your phone to start your search with Getfugu. GetFugu uses voice recognition technology to search for brand names and other key words, then delivers cool content to your phone such as exclusive promotions, videos, trailers, coupons and more. 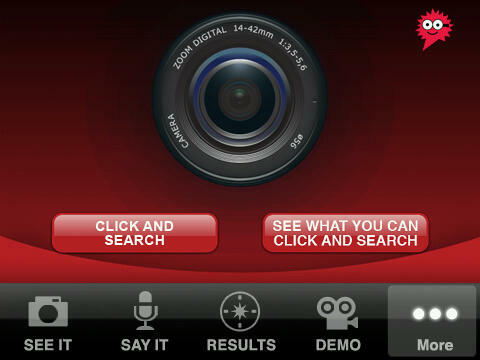 The GetFugu application is currently availlable for the 8900, Bold 9000 but other devices do work such as the Bold 9700. Support for the BlackBerry Storm series shows as coming soon on the site, so downloading it at this time may not work for you. Check it out, let us know if ya like it or not. I have used GetFugu for the past day or so and can't really say I'll use it often enough to give up the 3Mb of space it takes but that's just me.